This recipe means summer in the Totoro household. And it is the only salad recipe my young children would request. 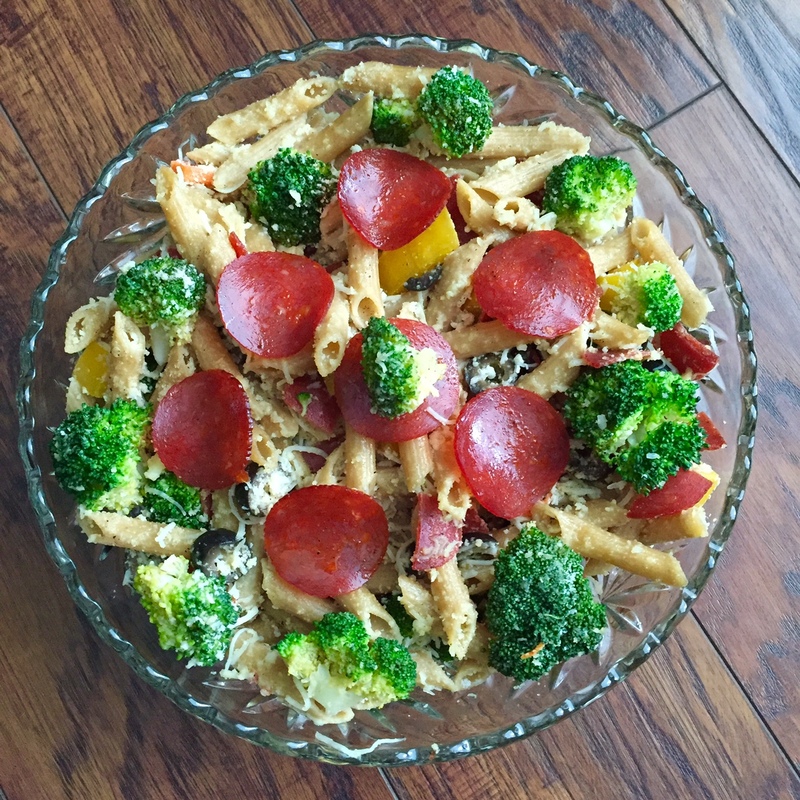 The kids loved the combination of pasta, pepperoni, and mozzarella. I was thrilled they ate a few vegetables, such as carrots and broccoli. And the colorful dish is as much a feast for the eyes as for the tummy. When all three kids lived at home, the recipe made enough to feed hungry teenagers and provide a few leftovers. Now that we are empty-nesters, I need to remember to cut the recipe in half. Otherwise, we would eat pasta salad for a week! Cook pasta in boiling water until al dente (about 9-10 minutes). Drain and rinse. Pour pasta into a large bowl. Whisk together the dressing ingredients and pour about 1/3 over the pasta. To the pasta, add the steamed broccoli, sliced mozzarella, shredded mozzarella, chopped pepper, onion, carrots, and olives. Pour half of the remaining dressing over top and toss to blend. The salad is a meal in itself, or a side great item to bring to the next neighborhood potluck. Oh, I like this — I'm looking for main-dish salads during this heatwave. I could cook the pasta in the cool of the morning and dinner would basically be done! Thank heavens for macaroni and pasta when it comes to feeding kids! A nice book to have! Yummy! Not only does it look delicious, but it sounds delicious too! I'm adding this to my recipes! Thanks for sharing! Yes… this would be the way to make this dish on a hot, humid, summer day. 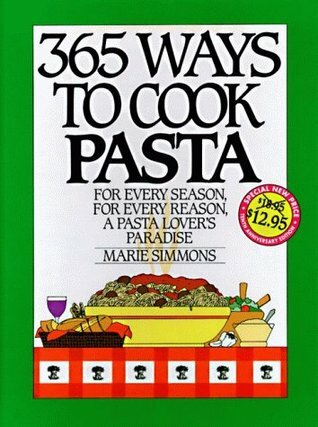 I have several books in the 365 Ways to Cook… series. I enjoyed them all. The recipes are fairly simple to prepare and oftentimes tried-and-true classics. Let me know how you like it, Suzanne! Your pasta salad sounds delicious. For some reason I haven't made a pasta salad all summer. You've inspired me to do one now. I'll do it early morning before the heat hits. Thanks Molly. I found you today through Wordless Wednesday and am following your blog on bloglovin. Please follow me back; I think we should connect. I am a member of SCBWI too, and have 2 co-authored books published.